We know that trust is something that is earned and not given. That is why LaptopMD+ has worked hard to meet the approval of our customers, but we’ve also worked hard to meet industry and business standards that separate our computer repair company from the others. We don’t expect you to trust us immediately – we’re confident that we’ll earn it – but until you get to know us and who we are, take the word and the backing of the following organizations as a measure of our company’s standing and trustworthiness. You can also visit other sections of our site to find out more about our company compared to others and why others choose LaptopMD+ as their trusted computer repair center in New York City. We love our customers and our customers love us back. In 2010, New York City Yelp users voted us best of Yelp for IT & Computer Repair Services. We try hard each day to meet our customer’s approval and when we don’t we try even harder. Great things are being said about LaptopMD+ in the press and we’re filled with a humbled attitude to know that these upstanding institutions in New York (and abroad) are excited to talk about and share our company with their readers. You can find out what’s being said about us when you head over to our press page where you can read articles, watch videos, and view websites where we’ve been featured. Nobody likes a company that doesn’t do what they say they’re going to do, right? The BBB is around to not only keep companies honest but also to keep customers informed about bad business practices, etc. LaptopMD+ is BBB certified and goes through an annual review process to make sure that the needs of customers are being met. Things can go wrong. We don’t plan for them to but sometimes they do and we are prepared to handle those situations. 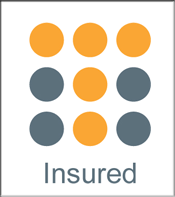 We invest in TechInsurance so that our customers are protected when head south for unexpected and unforeseen reasons – you can rest assured that when you bring your equipment to us it is safe, secure, and protected no matter what. We enjoy when our customers provide feedback so we can grow and learn as a company. Recently, CitySearch users have shown appreciation of LaptopMD+’s dependable service. We have been named best of CitySearch, in the computer repair services category.